Pick out that wonderful focus fabric and fussy cut the design on point. Add some light and dark triangles. Then off to the design wall for some fun. 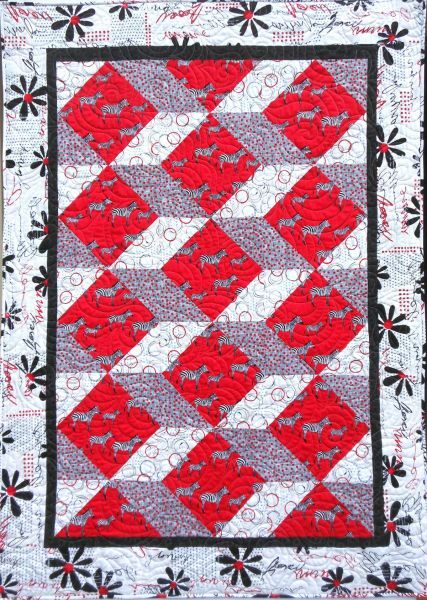 This pattern is suitable for an advanced beginner quilter. Have fun and enjoy! This pattern makes a 50 x 70 quilt.